Who gave us love and guidance? Who showed us wrong from right? Who was there when we needed confidence? Who tucked us in at night? You're someone always on our side. At times our biggest fans. Always there with helping hands. The rest sure makes us glad. 'Cause you're much more you see. The best grandparents we could ever have! 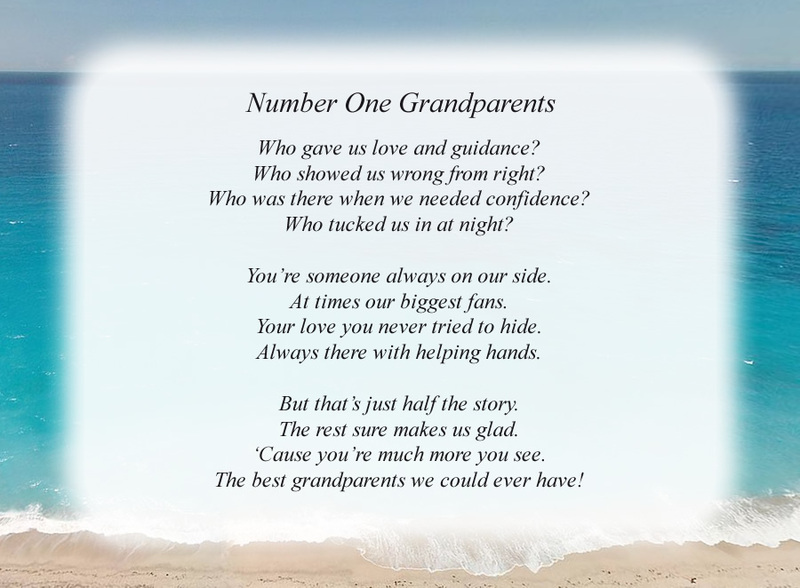 The poem, Number One Grandparents, is free and printable by opening or downloading using one of the three links below.